Plant something – flowers, herbs, vegetables. 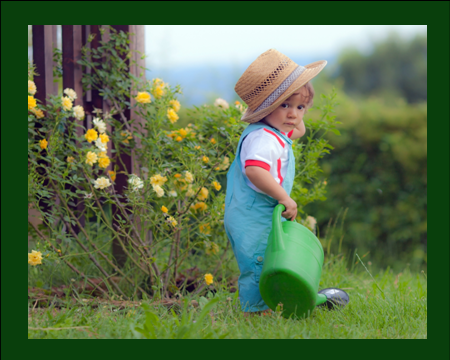 Assign your child a chore to take care of the plantings – water, weed, or harvest. See more activities at Summer Activities for Children (2015), Part 1 and Summer Activities for Children (2015), Part 2. This entry was posted in Activities, Discipline, Overindulgence and tagged chores, fun and games. Bookmark the permalink.